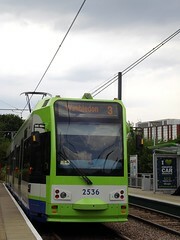 The longest of the Tramlink routes, stretching from Wimbledon Station in the west to New Addington Tram Stop in the east. Last edited 2009-06-30 23:37:27 (version 5; diff). List all versions. Page last edited 2009-06-30 23:37:27 (version 5).